Palmer's Coconut Oil Formula products contain ethically and sustainably sourced Coconut Oil and Tahitian Monoï, infused with Tiaré flower petals. These raw, natural ingredients deeply hydrate and give hair incredible shine. 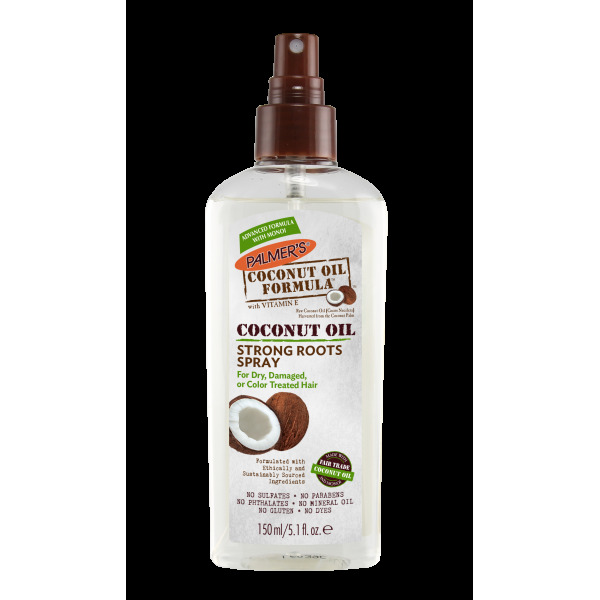 Palmer's Coconut Oil Formula Coconut Oil Strong Roots Spray is a refreshing scalp spray that strengthens hair at the roots, alleviating tightness and itch, and stimulating the scalp for healthy growth. 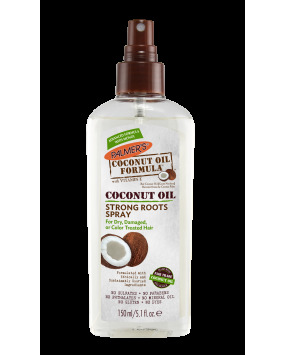 Spray directly onto scalp and massage gently, focusing on areas that need it most. Allow to dry for one minute before styling.